Macquarie is the university of pioneering minds. Globally recognised as one of Australia’s leading research universities, Macquarie is a place where extraordinary new possibilities come to light. We’ve helped people to hear, introduced wireless internet technology to the world and broken through traditional boundaries by appointing Australia’s first female vice-chancellor. At Macquarie you’ll join a vibrant community of diverse perspectives, all working towards a brighter future for our communities and our planet. Surrounded by beautiful parkland campus, our students and staff are free to explore and discover, supported by facilities including a high-tech library, private teaching hospital, gym and pools, childcare facilities, a campus train station and the newly expanded Macquarie Centre shopping complex next door. In Macquarie’s Faculty of Science and Engineering you’ll join passionate researchers and educators blazing new trails in the spirit of discovery and exploration. Encouraged to think boldly, and supported by some of Australia’s most outstanding facilities, brilliant minds converge in our faculty to create incredible new possibilities: the world’s first attempt to synthesize complex life, the creation of Wi-Fi, the discovery of dancing dwarf galaxies, and the development of blue LED light. Inspired by challenge and opportunity, we look forward to welcoming you as we imagine a new future together. Join us and start seeing the world in a different light. This role is open to application by mathematicians who have a strong research interest and growing reputation in category theory or cognate fields. The successful candidate will work on the Australian Research Council Future Fellowship Grant entitled “Enriched categories: new applications in geometry and logic and will collaborate with the project’s investigator, Richard Garner, and other members of Macquarie University’s Centre of Australian Category Theory (CoACT) to advance the scientific programme supported by this grant. 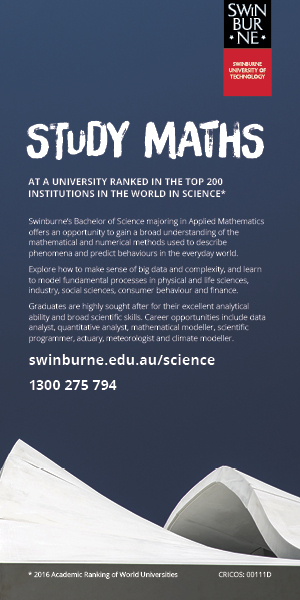 The successful candidate will be expected to make a vigorous contribution in the overall activities of CoACT, to present research progress regularly at the Australian Category Seminar and to publish papers in well-regarded mathematical journals. Where appropriate the appointee may also be asked to assist with the mathematical supervision of PhD research students. Applications are particularly encouraged from candidates with complementary expertise in algebraic geometry, Lie theory, model theory, or realizability. To be considered for this position applications must respond to the selection criteria below and attach as a separate document in the application process. A PhD, awarded or submitted, in category theory or a closely related area of mathematics. A demonstrated ability to publish in the scientific literature. Experience of presenting research results at scientific meetings. A background in areas of application of category theory, including but not limited to: algebraic geometry, Lie theory, model theory, or realizability. Appointment Type: Full-time, 2 year fixed-term.